The Kualar Lumpur Low Cost Carrier Airport is a 24 hour port found in Malaysia on the South East region of Asia. It is popular for its comfortable lounges which allow passengers to enjoy spending the night at the port. It has satellite surveillance and a modern station for busy travelers plying the route. Its restrooms are clean, and you can easily spend the night at the airport, and in the morning, you can have a cold shower and attend the prayer room for your morning devotion. The Kualar lumpur low cost carrier term airport has over 5 lounges in total. Its low cost carrier has showers and overnight lounges; you also get 2 to 3 hours of free food, reading material and internet at the Plaza premium. Can you find accommodation at the airport? If you love sleeping at airports, Kualar Lumpur low cost carrier airport offers you temporary accommodation on long cushioned benches. These benches can be pushed to make a simple, double bed. With such convenient accommodation at the port, you do not have to worry about flight delays or inconvenience while in transit. You will enjoy your sleep in utmost security at the airport. If you would rather spend a night in a hotel, there are a number of hotels near the airport. You can try the Tune Hotel that is less than a 10 minutes drive from the airport. Where can you eat at the airport? Within the terminal building, you will find three joints for your meals, snacks and beverages. The Food Garden is a large restaurant on the second floor with a variety of foods and drinks. There is also a cafe situated next to the airline offices. Enjoy your fast food bites at McDonalds and KFC on the fifth floor. Save a lot of money at the healthy food joint on the same floor. Can you have last minute shopping at the airport? In case you forgot to buy your toiletries, books, and gifts, check out the convenience store on the ground floor of the terminal building. If you need to get high speed internet try the fifth floor for quick connections. In fact, you can make your hotel and car rental reservations as you enjoy your meals at the food court. In case you run out on cash, there are safe ATMs and up0 to eight foreign exchange bureaus. You can leave your children at the playground area as you go about doing your last minute shopping in the stores. You will find reliable shuttles for transport from the airport. These shuttles have affordable rates of less than $1. If you like to travel in the comfort of a private car, you can rent a car from the car hire operators located at the airport. These car hire companies are located at the airport’s arrival area, and they offer car rental services to all destinations in Kuala Lumpur. You can also find more car hire companies at the Plaza Premium, where you will also get shuttles, and taxis service providers. You can compare the different car hire rates for the best deal. You will realize that a car rental costs cheaper in the long run. 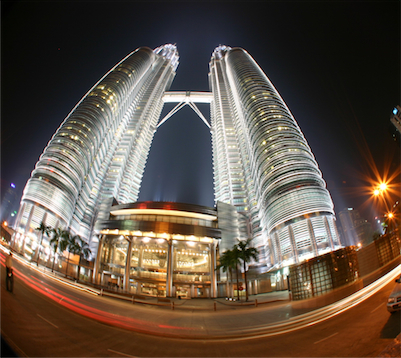 Driving around in the city of Kuala Lumpur Airport with a rental car can be a hassle but not impossible. Its a good way to move around but we advise to have a look at the local traffic rules as they may vary with what you are used to. Take in mind that in rush hour traffic can be pretty dense and it can take longer before you reach your destination. Last month, the average car rental length at Kuala Lumpur Airport was 3 days. The average rental car length at Kuala Lumpur Airport is 4 days. The most booked rental car type currently at Kuala Lumpur Airport is COMPACT cars. Last year, the most booked rental car type at Kuala Lumpur Airport were COMPACT cars. How much does it cost to rent a car at Kuala Lumpur Airport? Last month, the average car rental price was 91 USD. Last year, how much did it cost to rent a car at Kuala Lumpur Airport? Last year, the average car rental price was 153 USD. What is the current average daily price to rent a at Kuala Lumpur Airport? Last month, the average rental price was 30 USD per day. How much did it cost to rent a car at Kuala Lumpur Airport over the past 12 months? Last Year, the average rental price was 37 USD per day. The car rental companies available at Kuala Lumpur Airport are: Suria Car Rental. See below last 5 customer reviews. Our customers rated Kuala Lumpur Car Rental with an average of 8.00 based on 1 ratings.